So you’ve got a Sunday off, or some friends visiting. What to do? You’ve climbed the Martini Tower and visited the Groningen Museum. How about venturing a little further afield to discover hidden gems of the province? Here we line up some special destinations to match any mood. Eemshaven: Home to the largest wind park in the Netherlands, seriously big harbour cranes, and a lot of empty space. Nothing like a a trip to the Eemshaven to feel small and awed. Best reachable by car - 25 minutes north of the city. Schiermonnikoog: the 8.11am bus from the Groningen main station will get you to the ferry and onto the island in time for morning coffee. Once in town, you can hire a bike - no cars allowed on the island - or just walk to the beach to uitwaaien (uitwaaien is the Dutch word for being out in the wind, getting fresh sea air in your face and through your hair). And back home in time for bed. Hit the sauna! The wellness centre at Bad Nieuweschans is very well-known, but only reachable by car (30 minutes drive east, on the German border). We’ve also heard very good things about Loppersum - which is just a 20 minute trip away by train. The province has many small and wonderful museums. The Vosbergen Museum of Musical Instruments, a private museum housed in a stately home in the woods of Eelde, particularly stands out. The museum’s owners also hold regular classical music concerts in the main living room - be sure to sign up to their newsletter if you’re interested. Vosbergen is within easy cycling distance from town, past the Hoornse Meer. The stately home of Fraylemaborg (pictured above), set in an estate of 23 hectares with an English landscape garden, gives a superb idea of the restrained elegance typical of wealthy Dutch households in days past. Also houses a restaurant and changing exhibitions. A 20 minute drive from the city of Groningen. The Graanrepubliek (Grain Republic) is a cooperative of Groningen farmers, brewers and bakers who have joined forces to produce and promote sustainable grain products. Barley, rye, spelt, wheat, oats, emmer and einkorn from local farmers are worked into beer, bread, pasta, genever (similar to gin). They all work together in a beautiful old engine house. All products sold in the shop and café on site. 30 mins drive east from Groningen. Unfortunately there are no Michelin-starred restaurants in the city of Groningen. But did you know there’s a Michelin-starred restaurant in practically the first village out of town? Onder de Linden in Aduard is run by true originals Steven and Tanja Klein Nijenhuis - meet Steven in our Local Heroes series. They offer lunch as well as dinner. If you’d like to add the wine arrangement, there are hotel rooms upstairs! But a taxi back into town is no problem: it’s less than 15 minutes drive back to Groningen. If you are happy with something a little less fancy, try ‘t Ailand, a sustainable ‘slow food’ fishery and restaurant on the harbour in Lauwersoog. All fish is caught locally and sustainably, and the chips are delicious! 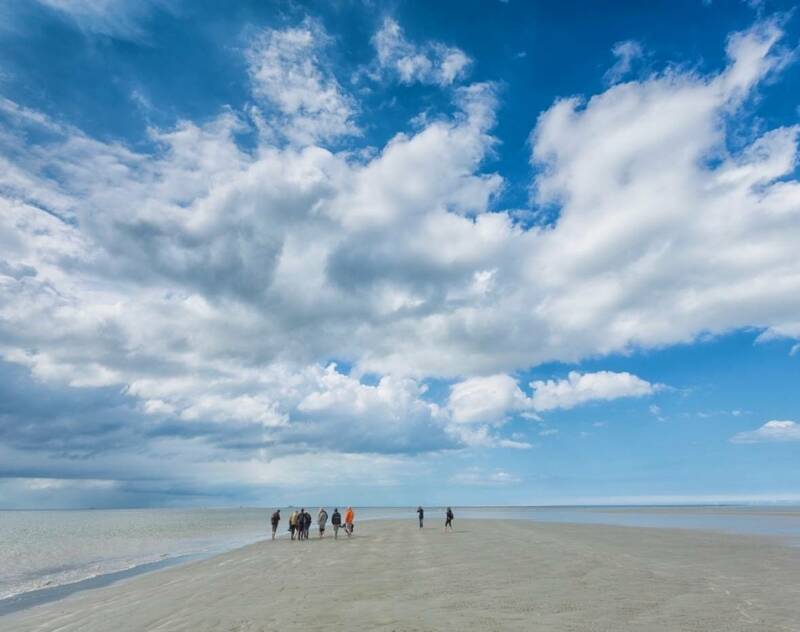 Workshops and tours of the Wadden sea are offered regularly on Sundays. 40 minute drive from Groningen; an hour on the bus. Can also be combined with a trip to Schiermonnikoog - the ferry leaves from Lauwersoog. Something in there for everyone, isn’t there? There’s a lot more to the province than empty space. And check out our page on the cultural events in the province for more ideas.